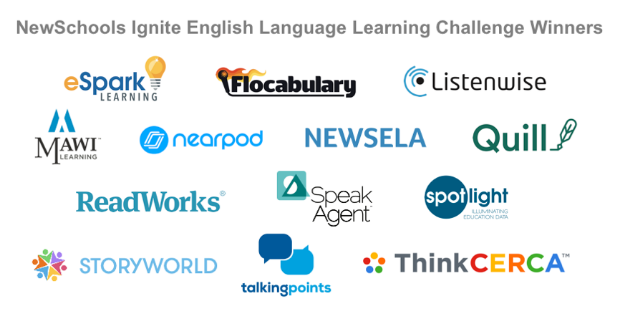 We are proud to be winners of the NewSchools Ignite English Language Learning (ELL) Challenge, a funding competition created by NewSchools Venture Fund. Today we join 12 other organizations who are developing products that address critical student needs to ensure ELL students graduate prepared and inspired to achieve. Congrats to our fellow winners in the ELL Challenge cohort!